Neron, a demon of Hell (also called “Wishweaver,” the “King of Hate,” and “Lord of Lies”) begins making deals with Earth’s super-villains. He is giving them increased powers and other rewards in exchange for their souls. 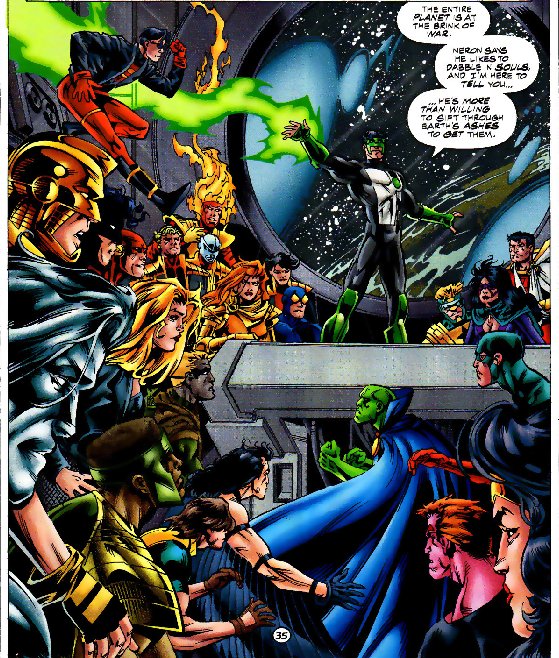 Neron also offers rewards to super-heroes, though few accept. 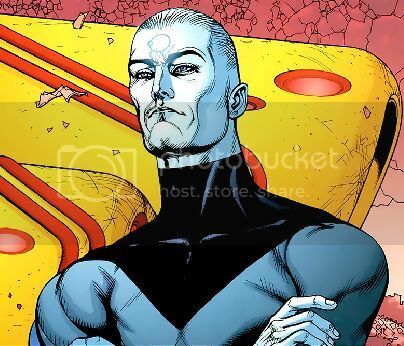 Blue Devil makes a deal for fame and fortune in exchange for destroying an unmanned power station, indirectly causing the death of his agent Marla Bloomberg. Guy Gardner is offered the resurrection of his loved ones and the return of Coast City in exchange for killing John Stewart. 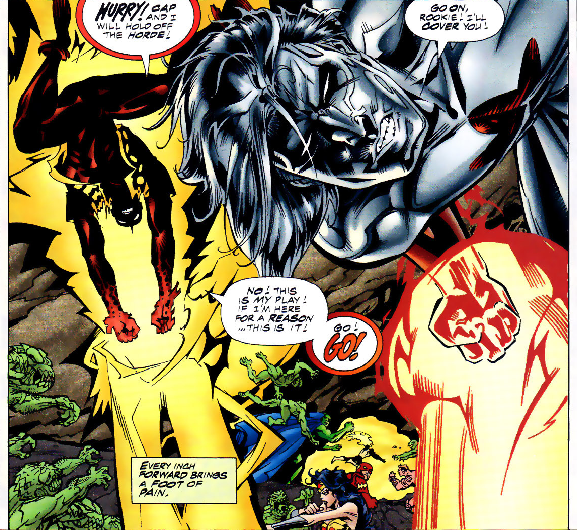 He agrees because Neron lies to him, telling him Stewart should already be dead but a rift in time had prevented it, and this had caused Guy’s tragic history to occur. Guy then changed his mind. 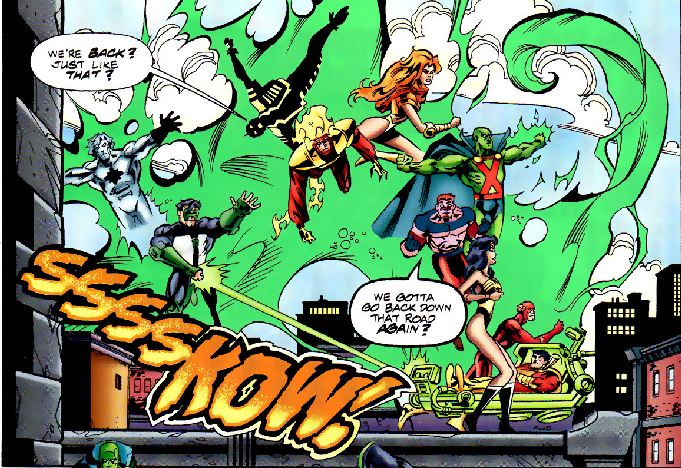 Harlequin (Molly Mayne) has her youth restored, but her soul was won back and the deal undone by the original Green Lantern Alan Scott (Sentinel). One of Hawkman’s “Hawk-Avatar” spirits sells its soul to gain ascendance over the other avatars also resident in his body, but failed. Madame Xanadu os offered power over demons in exchange for her soul on her death, which she accepts, but it is a trick (she is immortal). Neron offers a deal just to prove that he could tempt those with ‘gray souls’ as well as those who were evil. The Ray believes Neron is a beautiful woman, Kathy Noren, who worked in his office. Neron makes a deal with Vandal Savage not to go after Ray’s soul in exchange for Vandal guiding Neron to Atomic Skull instead. Ray then approaches Kathy/Neron, who avoids the conditions of the deal with Vandal Savage by letting Ray make the offer to take flowers to a hospital in exchange for Death Masque no longer having existed – and thus Ray’s father would not die. 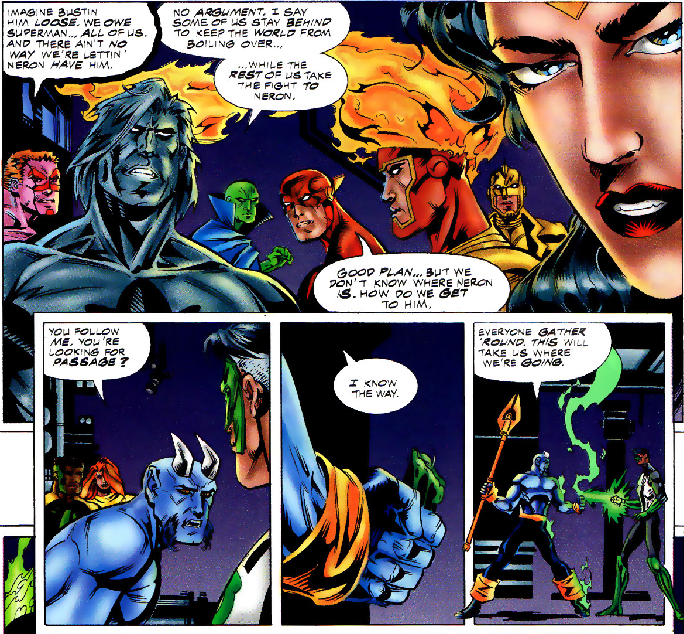 The Spectre’s essence (not his host, Jim Corrigan) agrees not to oppose Neron in order to be free of Corrigan. 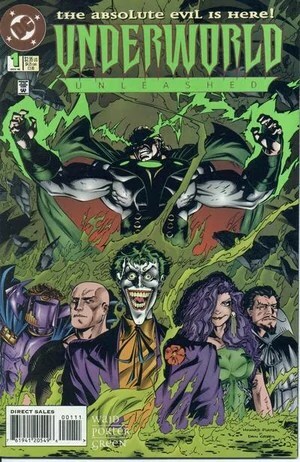 The deal did not include not fighting other demons, so Spectre becomes involved in a supernatural-hero attack on Hell. Vril Dox II sells somebody’s soul for information on how to regain control of L.E.G.I.O.N. by killing his son Lyrl Dox. He also had Iceman killed (actually he asked for him ‘to no longer be a problem’ , but was happy with the result). 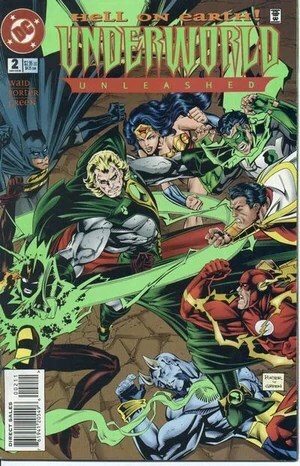 Other heroes are made offers (Batman, Captain Atom, Flash, Green Lantern Kyle Rayner, Knockout, Mystek, Nightwing. Oracle, Silver Swan, Superboy, and Triumph) but they decline. 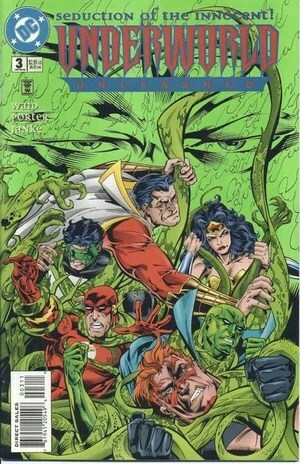 With the help of Blue Devil’s power, the Justice League pierces the barrier to the Underworld and confronts Neron’s demonic army, battling through the circles of Hell to find Superman. 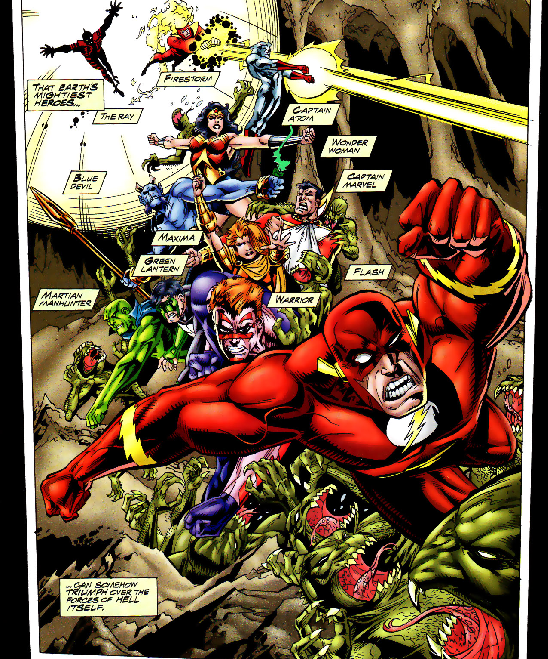 Ray, Firestorm,Captain Atom and Maxima are killed on the way, while the other super-heroes, with the exception of Captain Marvel, begin to be corrupted by the influence of their Hellish surroundings. In Hell, the demon Satanus bargains with Neron for the return of his soul after failing in his task to stop the Leymen of Primal Force, offering up the whereabouts of his sister Blaze in exchange, but once his soul is returned and Blaze caged by Neron, he reveals to her that Neron can be beaten by a single word that if spoken, even in Hell, would give Neron pause. For this treachery Neron kills Satanus, though not before his comment is overheard by Trickster. 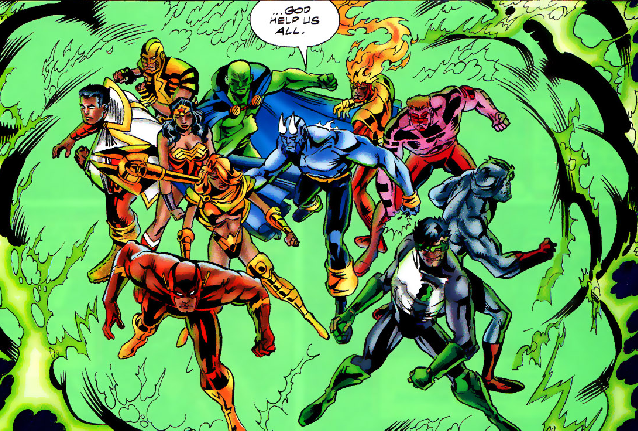 At that moment Blue Devil, seeking revenge for the death of Marla, finally reaches Neron ahead of the Justice League, and is killed. The whole affair was staged by Neron to obtain his one true goal – Captain Marvel (Shazam)’s soul. 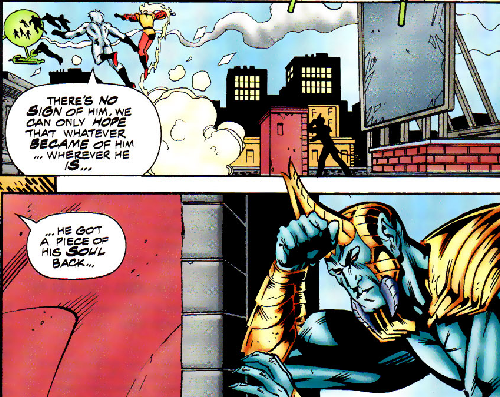 In the end, Captain Marvel offers Neron his soul, in exchange for “the release of my friends … the release of Earth. No ‘and’, nothing else. Nothing.” Neron tries to take the offer, but because it was purely altruistic, the first time someone had asked for something without personal gain, he cannot. Taunted by Trickster he disappears, and everyone is returned to Earth. 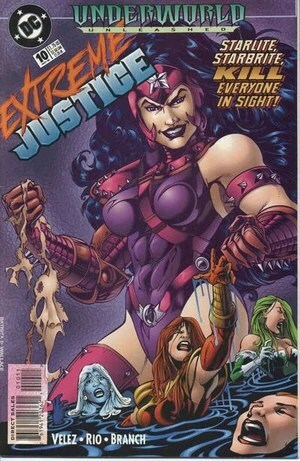 The three-issue mini series by Mark Waid and Howard Porter ties in with 51 other series published by DC Comics that Fall. 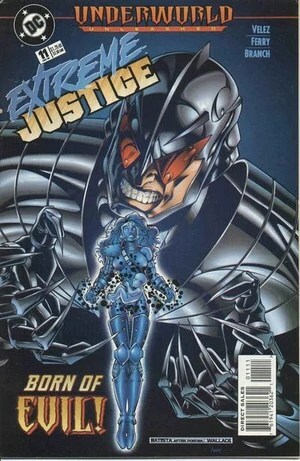 This included Captain Atom’s ongoing series (at the time) Extreme Justice.